Norfolk based consultancy Spicule Ltd join forces with East Anglia's largest commercial data centre to offer cost-effective private clouds for UK businesses. NORWICH, NORFOLK, UK, December 7, 2018 /EINPresswire.com/ -- A rising star technology firm has joined forces with East Anglia’s largest commercial data centre to offer businesses a way to seamlessly migrate from public cloud to a more affordable private solution. Data processing firm Spicule, which has worked with NASA and Netflix, have partnered with MIGSOLV to launch a private cloud service which offers lower costs and easy migration for businesses with significant data currently stored in public cloud services. Organisations with increasing data needs can report rising costs from common public cloud platforms. The two tech-innovators say they have come together to develop a highly secure cloud solution with the potential for lower overall costs and provide a number of additional benefits. The new ‘private’ cloud service will allow businesses to own their own unique private cloud, completely stored and managed by MIGSOLV and Spicule. Spicule will provide the software and expertise to safely migrate and manage business’s existing data, whilst exclusive use of MIGSOLV’s data centre to house the required hardware will provide greater security assurances, unfettered access and UK data sovereignty. Established in the University of East Anglia’s Enterprise Centre in Norwich, Spicule specialise in solutions to collate and analyse large quantities of data. Their software has already been used by organisations including NASA, Netflix and the US government. 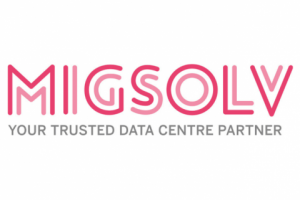 MIGSOLV’s Gatehouse data centre is the East Anglia’s largest purpose-built commercial data storage facility. The heavily guarded building houses computer servers and IT equipment for its customers, protecting them from threats including theft, extreme weather and power cuts. Hardware is installed within a temperature and humidity-controlled environment, with eight days back-up power and fast connectivity.